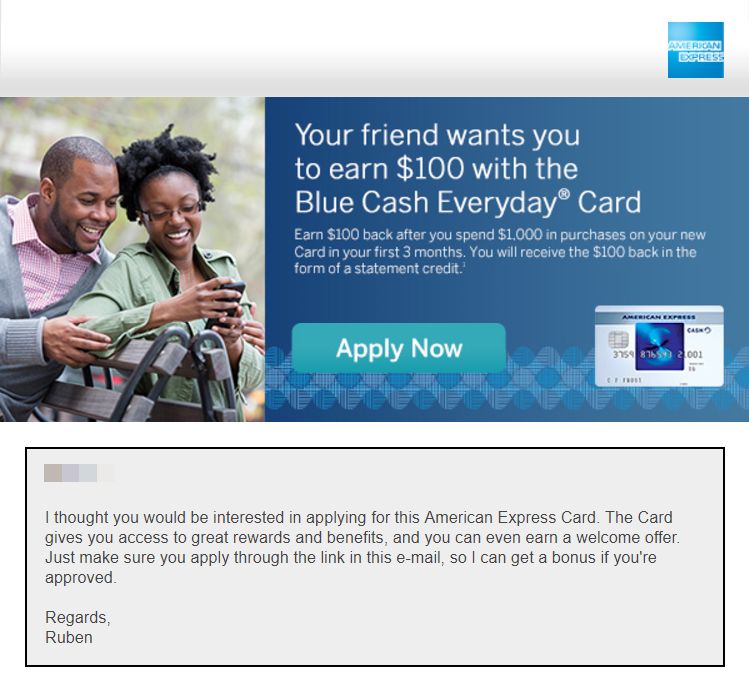 Amex is a global services company that provides customers with access to products, insights, and experiences that enrich lives and build business success. They offer world-class Charge and Credit Cards, Gift Cards, Rewards, Travel, Personal Savings, Business Services, Insurance and more. Though the program isn’t the prettiest, it is easy to find, even if you’re not logged into your account. 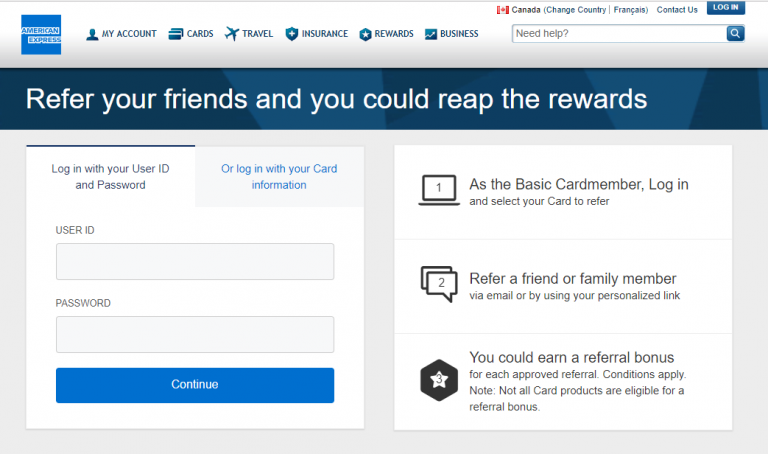 It also offers a pretty decent reward in the form of company credit. 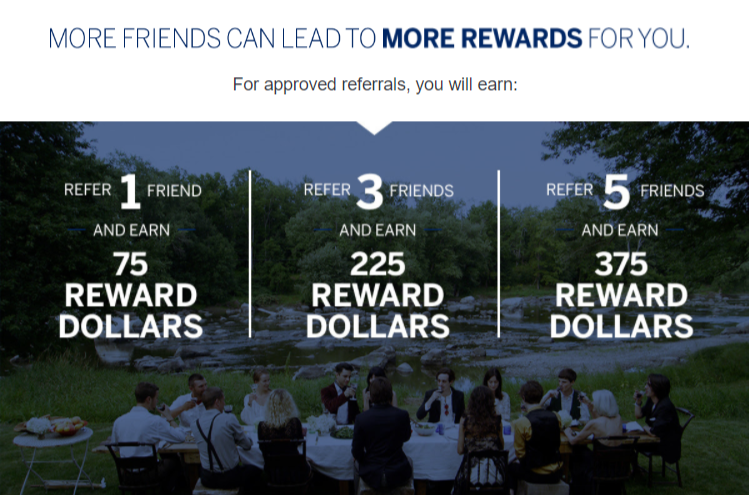 Each of their cards has it’s own unique referral program, so that’s something to pay attention to. 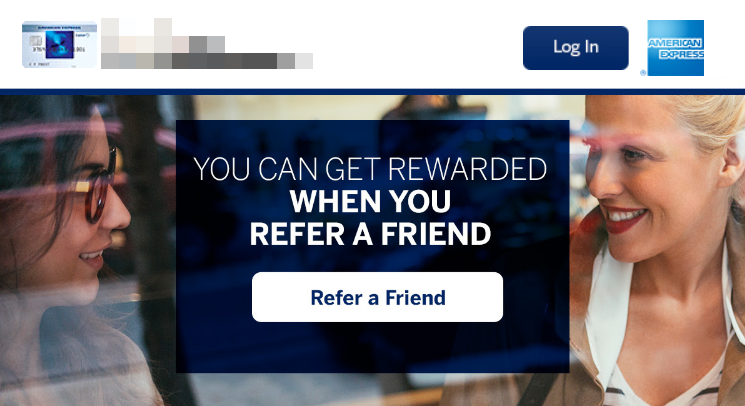 Also, it seems that each ‘refer a friend’ link goes to a different landing page that all have slightly a different look and feel (which could potentially become confusing). The program offers an incentive to both the participant and the referral. The participant will earn rewards dollars (or points), while the referral can earn $100 back in the form of statement credit. They offer the basics as far as sharing goes, the participant can either share their link or via email. 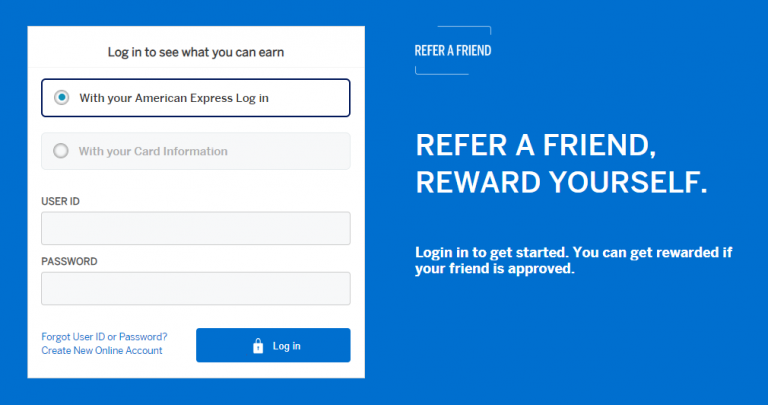 None-the-less it’s a pretty solid referral program.